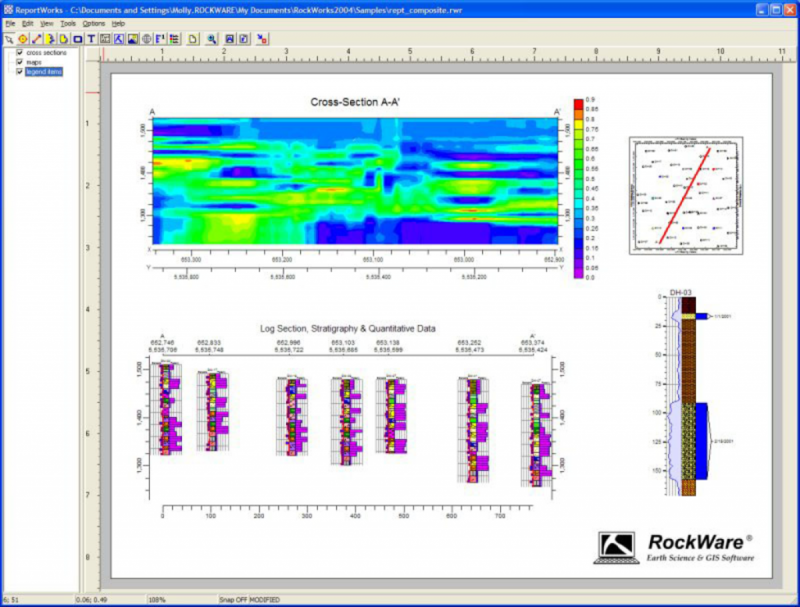 The RockWorks 2D and 3D display windows, and page layout program are offered in all feature levels of the software (Basic, Standard, and Advanced). 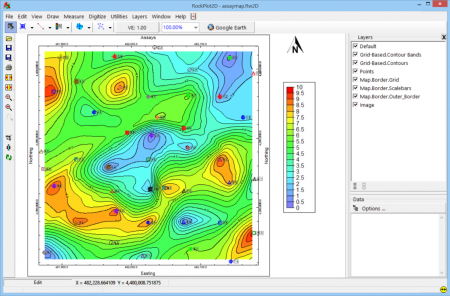 Use this interactive window to view, edit, export, and print your RockWorks 2D images – borehole and sample location point maps, contours and colorfill maps, cross-sections, profiles and other diagrams such as stereonets and piper diagrams. Many graphical export options, including DXF, raster (PNG, JPG, TIFF, BMP), Google Earth, ESRI Shapefile, MapInfo MIF/MID, and metafiles. 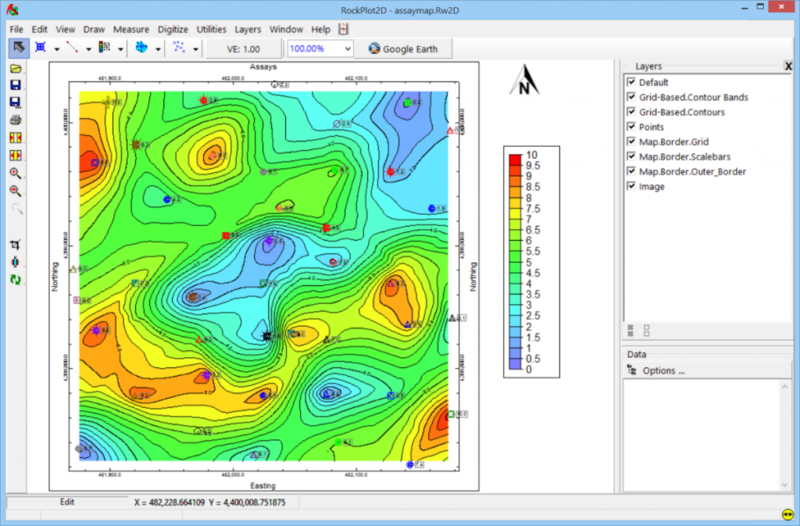 Use the RockPlot3D viewer to view 3D images: solids, surfaces, fences, 3D objects, plan view maps, site diagrams and much more! Use the ReportWorks window to lay out pages for printing and publication- use any of the images that you’ve created in your final presentation. Include any RockPlot2D image: maps, cross sections, logs, graphs, diagrams, and more.